What is a slipper? Until the late 19th century, the term could be used to describe any indoor shoe that slipped on to the foot, including ballroom slippers (think Cinderella’s glassy numbers), bathroom slippers, bedroom slippers and afternoon tea slippers. Nowadays, we use the word to mean footwear that is only to be worn in the home. Whatever the definition, its history is an absorbing proposition. Slippers were worn in Chinese courts as early as 4700 BC. They would be made out of cotton or woven rush, had leather linings, and were adorned with symbols of power, such as dragons. Native American moccasins were also highly decorative. Hand painted to depict scenes from nature and embellished with beadwork and fringing, their soft sure-footedness made them suitable for indoors appropriation. Inuit and Aleut people would make shoes from smoked hare hide to protect their feet against the frozen ground inside their homes. Conversely, the discerning Victorian gentleman was in need of a pair of ‘house shoes’ in order to keep the dust and gravel outside – much better than ruining his expensive rug and beautifully polished floor. Embroidered slippers presented Victorian ladies (on both sides of the Atlantic) with an opportunity to show off their needlepoint skills. Magazines such as Godey’s Lady’s Book and Peterson’s Magazine contained patterns so that the latest fashions could be recreated in the home; a perfect gift for a loved one, and an ideal way to entice a man with an eye for embroidery. The emergence of a slipper industry grew from the warehouse floor of the felt industry in northeast England. Workers would make themselves footwear from the scraps that were left over, and from this seed grew the businesses of John William Rothwell, Samuel McLerie and other commercial retailers in the late 1800s. Though the advent of heating and descent into everyday casualness may have led slipper sales to decline since the 1950s it doesn’t make them any less interesting, or snug! Read on for tales of notable styles, from those worn by Kanye West to the Pope. The discerning gentleman’s house shoe, which gained popularity in the 1840s, is said to have been designed by Prince Albert himself. The Albert slipper has an extended vamp (the upper part), quilted lining and leather sole. Initially designed for Victorian men hosting dinner parties, and to be teamed with a matching smoking jacket, this design staple was later synonymous with Hollywood greats, such as Clarke Gable. From Robert Kennedy to the purveyor of questionable style Kanye West, it has continued to be a signature of the debonair. Slippers have been used as both a symbol of freedom and oppression. For Rita de Acosta Lydig, receiver of one of the largest divorce settlements of her day in 1900, her Pietro Yanturni slippers, made of gold brocade and silver silk tissue (stored on shoe trees made from antique violins), were a sign of opulence. Slippers worn by members of a sultan’s harem represented something entirely different. Their frail nature made it impossible to escape over any rough terrain, but made them ideal footwear for the luxurious carpets of their masters. The slippers historically worn by the Pope were an elaborate affair. Bright red, to represent the blood of martyrs and Christ’s own bloodied feet in his final moments, they were handmade from silk or satin and decorated with gold thread. A gold cross garnished with rubies completed the ornate spectacle. The Pope wore these slippers inside his residences, rather than the red leather shoes he would wear outside, and it was custom that any pilgrim having an audience with the Pope had to kneel and kiss one of his slippers. Terradora is a robust yet nimble boot that embodies KEEN's TrailFit philosophy – versatile footwear that promises to be just as comfortable for working out in the city as for a light run on wild, open terrain. Ruth Allen embarks on the 17-mile High Peak Trail in Derbyshire to put a pair through their paces. Seventeen miles. Yes, I’ll take that. Those were the words in my head as I settled on the idea of running the High Peak Trail end-to-end last month. The Peak District has its fair share of county-crossing trails, but the High Peak’s biggest draw is that it offers plenty of history, big views across Derbyshire and ends a stone-throw from my house. The plan was to test out KEEN’s new Terradora – a lightweight, waterproof boot designed especially for women that combines the support of hiking footwear with the flexibility and vigour of a trail runner. 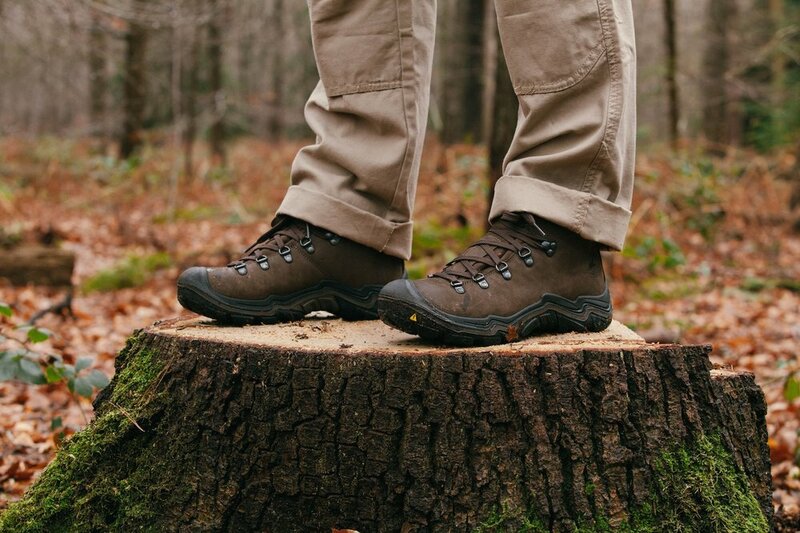 The boot embraces KEEN's TrailFit movement, which is all about finding your own path to fitness, however and wherever you choose to do so. The Terradora is aimed at women who live adventurous, hybrid lifestyles – whose exercise routines migrate between urban and wilder spaces. As I was planning to run, hike and seek headspace in the Peaks, I’d say this was definitely hybrid adventure territory! The length of the High Peaks Trail make it possible to fit into my work schedule, because whilst I love those long ranging, free-floating adventures that holidays bring, I’m always on the lookout for something interesting to do on the weekend that has the flavour of adventure (a story behind why you’re doing it, a feel for the unknown and the sense that it might not work out!) but in manageable proportions. The trail follows the former trackbed of the High Peak Railway, beginning – without fanfare – just outside Buxton and winding up in the historic mill village of Cromford. My decision to run its length was confirmed when I noted that the final stretch of the line was closed in 1967. Not only would my run be a new way of exploring my local area but it would also be a personal nod to the 50-year anniversary. Saturday morning. Having packed a bag of snacks and warm clothes for the day, I parked at the start of the trail and got on my way. I like to run like this: no start lines, no fellow runners, no deadlines and no noise. It’s just me and the trail, in a quiet agreement that I will show up and make an effort and it will provide me with something to notice along the way that will take my mind off my feet, my legs and my overworked heart. On this occasion, I had no reason to think of my feet at all. If I had departed with any concern about what it would be like running in boots with ankle support, I needn’t have worried. These were the comfiest shoes I have run in for a very long time. It’s fair to say I have a fleet of trainers for different surfaces – most with a fairly aggressive sole – so this was the first time I had ventured into hybrid territory. The Terradora bridges the gap between hiking boot and trail runner, offering the support and grip of the former with the vigour of the latter; it was flexible enough for my pounding feet, while providing the ankle support needed for such rugged terrain. 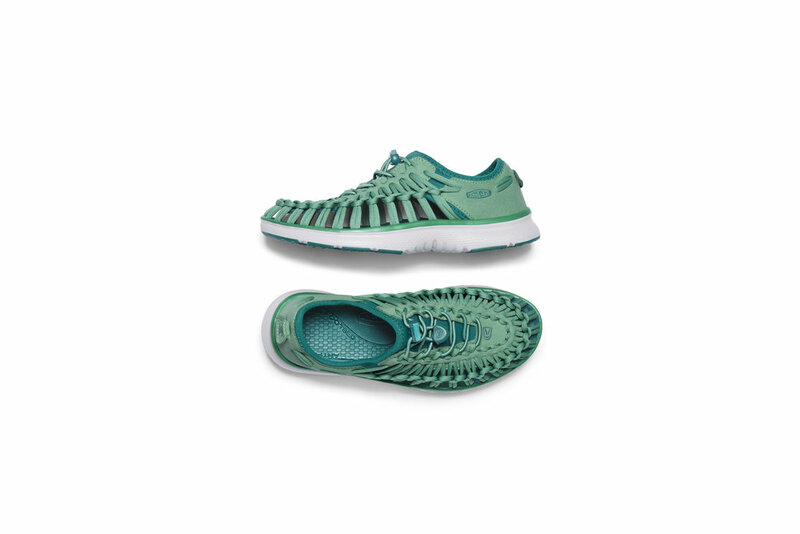 It’s also designed specifically for women’s feet: narrower through the heel, cushioned panels to reduce pressure on the Achilles tendon and a low-density midsole to give lightweight support for steep descents. Given that I’d not so much as broken them in around the house, I was amazed to realise that I had barely been thinking of my feet at all. I kept expecting the rub to come but the Terradora handled the trail perfectly. I suspected they would be good on either the undulating gravel paths or on the steep, damp descents through woodland. To my surprise, I didn’t need to adjust my approach to either terrains. The soles were grippy, the insides cushioned and the foot-bed wide enough to accommodate warm feet all day. Having no shoe concerns made the whole thing a joy and as the miles flowed quickly beneath me, I found myself with plenty of time to take in my surroundings, have a think about the coming week and enjoy the day with a sense of playfulness. After all, who doesn’t love the nostalgia of messing around on railways sidings, whistling in damp, deserted tunnels and hopscotching over limestone boulders? This definitely ties in with how I connect with outdoor fitness. I am not a runner, I am a person who runs. For me, this is an important distinction. I suspect many of us hold back from things we fancy trying in life because we don’t feel that we fit the brief or meet the definition. Perhaps we imagine a runner should be fast, full of energy and endlessly charting their interval times. Perhaps we have an idea of how we think they should look, what gear they wear and the things they eat when they’re not running. We might also think they’re highly disciplined people who wouldn’t dream of stopping to talk. I’m none of those things. For me, moving our bodies how we can and when we can, should be a joy. Sometimes it might feel like a punishment, but it’s actually kind to ourselves to celebrate our bodies and what they can do. We might do well to spend more time moving intuitively – running when we want to, walking when we choose to and not being afraid to sidle up to the kiosk for an ice cream at the end. This is the freedom of the trail. This is the freedom of having a body that can run if you ask it to. KEEN’s Terradora comes in a mid (£109.99) and low (£99.99) style. Head to keenfootwear.com/trailfit for more information, watch the Terradora video at bit.ly/ErnestTerradora and check our online directory for more stories from KEEN. 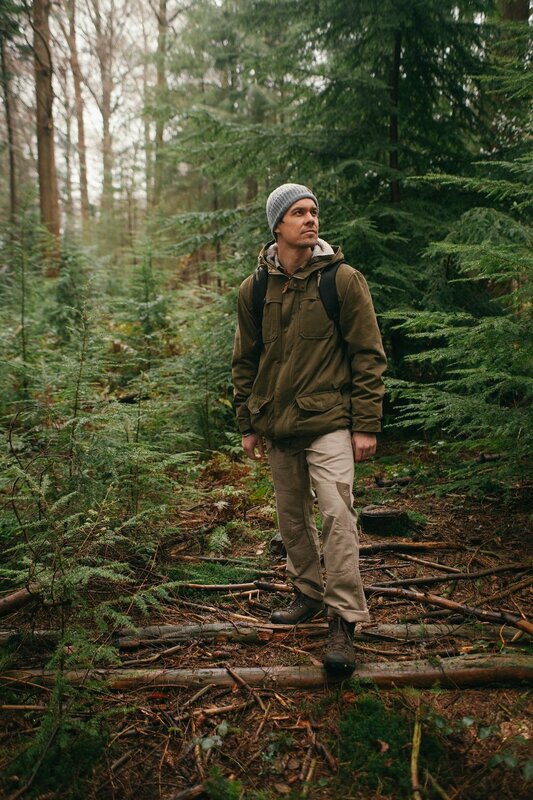 Promoting play and exploration in all environments, KEEN’s range of footwear is ideal for adventurous hybrid lifestyles, migrating effortlessly from urban landscapes to the unexplored territory of the back country. Their latest evolution in footwear can’t fail to speak to a generation of adventure-seeking women. Made for dynamic, active women who carve their own path when it comes to fitness, KEEN’s new Terradora waterproof boot infuses style, all-terrain versatility and performance with a precise women’s fit. Whether pounding a favourite route through the city or traversing off-road trails, theTerradora will be a worthy companion. Built to bridge the gap between the gym and the mountain track, this athletic hiking shoe – which hits a sweet spot between the support of a hiking boot and the flexibility and vigour of a trail runner – has been designed specifically for women’s feet. Cushioned panels reduce pressure on the Achilles tendon, while a low-density EVA midsole provides lightweight support for both high intensity workouts and steep descents. On more demanding surfaces, an all-terrain rubber outsole and multi-directional lugs provide a superlative grip. TheTerradora fits into KEEN’s new workout category TrailFit – a movement aimed at empowering fitness on any trail. By providing a technically-robust, durable and stylish shoe, KEEN aims to inspire women to continue in their quest to challenge themselves mentally and physically, wherever their feet decide to take them. KEEN’s Terradora comes in a mid (£109.99) and low (£99.99) style. Head to keenfootwear.com/trailfit for more information.